Although Macadamia are native to the eastern subtropical coastal rainforest of Australia (23 – 29 degrees South latitude) until recently the main commercial plantings were all in Hawaii. They were used there for reforestation projects but were not satisfactory for this use. Many trees were planted as ornamentals and these formed the nucleus for the early orchard plantings until in 1936 the University of Hawaii began a survey from which the five most promising selections were named in 1948. Overseas, major plantings exist in Australia, Hawaii, California, Florida, South Africa, Central America and Brazil with Australia now overtaking USA as the largest producer, with yet more plantations yet to come into full production. At last Australia is regaining control of the only commercial food crop native to it. Macadamia nuts have been grown in New Zealand since 1875, with the first seedling orchard planted at Kerikeri by Mr Jolly in 1932. Not until the early 1970’s were the first variety trials planted in NZ Areas capable of producing quality macadamia nuts are limited by temperature and soil requirements. Fredrich Wilhelm Leichardt, a German explorer of Australia collected the first specimen in 1843 but it stayed in the herbarium without identification or description for many years. Then in 1857 botanists Hill and von Mueller collected specimens and the genus Macadamia named after Sir John Macadam, a chemist, and the specific ternifolia was given. Years later it was found that the earlier specimen was the same. In 1952 a new species of Macadamia was described from the Celebes but 2 years later L Johnson an Australian botanist recognised the form as occurring in NSW to be a distinct species and gave it the name M. tetraphylla. Another Australian botanist, Lindsay Smith, decided M. integrifolia should have specific rank in 1956. With all the additions, subtraction and transfers finally resolved, the genus Macadamia at present comprises ten species. Other related species are, Banksia, Grevillia and NZ Rewa rewa, while a few others including Gevuina avellana have nuts that are sweet and edible without any processing. The two main species, M. integrifolia and M. tetraphylla will also produce natural hybrids which can be taken advantage of to produce a wider range of fruiting variations. It is therefore important before deciding which cultivars to grow to first decide on your end use. On average about 30% of the nut weight as kernel is recovered, the remaining is 70% shell and waste but can be used to mulch the trees. Large spreading evergreen trees range in heights of 12m for M. tetraphylla and 21m for M. integrifolia, though they are usually pruned for ease of orchard management. Tree shape is variable – umbrella, columnar, pyramidal or broad depending on cultivar. Bark is rough and brown. Roots are proteoid and it is this development which seems to relate to the vigour of seedlings as they increase the surface area of the root system for maximum nutrition absorption. Macadamias are not fast growing trees overall but moderately fast the first four or five years. When they start bearing good crops the growth goes towards nut production rather than to vegetative growth. Most trees start bearing in three to five years. The length of time it takes is not related to production at a later age. Trees mature at different ages in different areas. Alternate bearing is common in Macadamias. The two species are easily distinguished by their leaves and flowers. However, between these two distinct types there are numerous intermediate forms varying in spininess of leaves, colour of flowers, size of nut and thickness of shell. Being native to the rain forest of southern Queensland they grow best along the coast under conditions of high humidity and comparatively heavy rainfall. Crop yields seem to be correlated with spring rainfall and 1600mm falling predominately during summer but spread throughout the year is needed. Young trees need more water than mature ones and this can be regulated by irrigation. In general, the trees produce a deep taproot and relatively few lateral roots therefore need the protection of windbreaks in exposed situations. Branches are brittle so acute branch angles on some cultivars are a problem. Cold winds can also affect growth. In NZ they grow successfully in coastal areas of Northland, Auckland, Bay of Plenty, Taranaki, Nelson and Marlborough. Recent plantings are tending to be in the Central BOP and Eastern BOP where there are deep sandy soils and favourable spring blossom conditions which favour heavier yields. Good growth is obtained between 20-25°C or where a mean summer temperature of 25°C is obtainable. Below 18°C growth is retarded and ceases below 10 or above 30°C. Young trees (up to 2-3) are also frost prone so avoid frost pockets. Mature trees will tolerate 2-3°C frost while dormant trees can survive minus 7°C for short periods but flower clusters may be damaged by then. Protect trunks of young trees from frost by wrapping with cardboard or foil. Mature Macadamias can withstand drought but crop will be affected. Adequate watering is required during nut set to nut filling, during oil accumulation and including late summer vegetative flush. Trees should not be under stress at any time but especially mid-summer. Macadamias are not as demanding as avocados in their soil requirements, but are more demanding than citrus. The soil should be fairly well drained but need be only moderate depth due to the shallow root system. On heavy clay soils the tree will often be chlorotic with somewhat stunted leaves and growth. Slopes steeper that 1 in 25 should be planted on the contour with every precaution taken to prevent soil erosion. An ideal site would have free-draining deep sandy or volcanic soil, lying to the north with a 10 degree slope to catch more of the day’s heat and allow cold air to drain off. Planting is usually done in autumn or spring but can be done with care during warmer months. The availability of trees seems to control the decision. The young trees are very susceptible to damage and water stress. Make sure the root system makes contact with the soil. Some potting mixes may impede water movement so remove some, put tree in hole, fill with water then top up with remaining soil. Place scion side towards wind to prevent new growth being levered off. Spacing of 6m X 6m is a recommendation. Don’t forget headings. Three to four balanced fertiliser applications are need in one season amounting to 5kg per annum for a 10 year old tree. Macadamias appear to be sensitive to a number of trace element deficiencies. 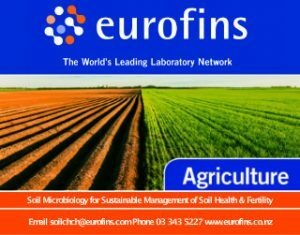 Soil and leaf analysis can be done and fertiliser applied according to results. For the small orchard any citrus fertiliser is suitable. Iron deficiency can be identified in the field by interveinal chlorosis. The major cause is overliming or a high pH soil and a high phosphorus content. Flowers are borne on long narrow racemes arising from the axils of leaves or the scars of fallen leaves. A raceme is a flower cluster in which, up to 500 flowers each with its own pedicel, is spaced along an axis. The proximal flowers bloom first They may be borne on the new growth if it is mature, but more often on the two or three season’s growth preceding the most recently matured flushed. The flowers, about 1 to 2cm long, are perfect (have male and female parts) but incomplete (no real petals), but four petaloid sepals. The flowers are carried on the inside of the tree on mature wood from four seasons to the current. Flower distribution follows the canopy outward. Hybrids can have either – pink from a recessive gene? They can self pollinate but as varieties vary from being self-compatible to self-sterile the correct pollinators are required for good crops. Only 1-2% of flowers set fruit. Bees are the apparent major factor in pollination as well as leaf roller moth. The pollen is shed within the flower 1 to 2 days before it opens, then 1-2 hours before opening, at about 7 – 8 am, the sepals curl back exposing the anthers closed over the tip of the style. Then the anthers separate and 5 to 10 minutes later the style breaks free and straightens, but its stigma does not become receptive until some time later. The minuteness of the stigma (capable of receiving only 10 to 12 grains of pollen) indicates that wind is not a factor in pollen transfer. The pollen of a specific flower is generally removed by insects before the stigma is receptive so pollen must come from another flower. Good pollination improves nut yield, nut size, kernel recovery and quality. Insufficient cross-pollination may reduce potential yields to 10%. Such trees without a worthwhile crop-loading grow vigorously, shading out flowers and light. It becomes a vicious circle. No planting should be made without providing for cross-pollination between the cultivars. Three selected cultivars are recommended as a minimum number, with the different cultivars in separate rows, eg one row A4, one row GT 207, one row PA 39, with the pattern repeated. The main flowering time in NZ is early spring – October and weather at this time has an impact on crop set. A number of growth flushes can be expected especially in warm areas. The fruit produced is a one-seeded follicle consisting of three major parts. An outer green smooth skin or husk surrounds the shell of the nut proper. The husk is the fibrous wall of the ovary and inside is the seed. The shell is the very hard outer seed coat. Inside the shell is the embryo or nutmeat kernel. Shells of M. Integrifolia are spherical and generally almost smooth. The colour is brown and often with a lighter mottling. M. tetraphylla are ellipsoidal, almost football shaped. The surface varies from slightly rough to very coarse or pebbled. Shell thickness varies from paper-thin to more than 5mm. Opinion exists that altitude and exposure to ultraviolet light affect thickness but it is more probably genetic variation. This is not to say shell thickening cannot be induced as happened in Hawaii where a drought caused shell thickening in orchards without irrigation, and smaller nutmeats. Thick and thin shells have good points. Thick shells usually have less nutmeat but more protection to the quality until shelled; they crack well in mechanised cracking machines. The nuts start to mature six to seven months after blossoming and must be allowed to ripen on the tree. They are full size before this but you can tell when nuts are mature by the brown colour of the husk lining. Nuts that do not drop naturally are referred to as stick-tights, and these sometimes open and pregerminate while still attached to the tree which makes the nutmeat inedible (cyanogenic and bitter). Cultivars with thin shelled nuts are particularly suitable for table purposes when sold in the shell.. These yield over 40% by weight of kernel and can be cracked fairly easily. M. integrifolia trees have long harvest season, often over six months and some are ever bearing dropping nuts throughout the years. M. tetraphylla, especially the red ones, have a much shorter harvest season which in some cultivars can be as short as 6 to 8 weeks. Nuts are harvested by picking either by hand or machine (overseas) or gathered from the ground when they fall. Nuts that drop should be gathered regularly to prevent damage by fungi or rodents. Integrifolia cultivars generally have hulls which adhere tightly to the shell whereas most tetraphyllas split open. Keep ground under trees clean at harvest or use a tarp cover on which the nuts can drop or be picked onto. Picking starts in June (for some cultivars, notably Beaumont) in NZ and continues throughout the year with a break during pollination in October. Don’t pick in rain are nuts will be holding too much moisture. Nuts must have their green husks removed within 24 hours of harvesting. Locally built huskers with electric motors or PTO (power-take-off) from tractors are available as well as some overseas models. The objective of storage and processing is to produce kernels that are crisp, light brown in colour and free from blemishes. Inadequate drying and poor storage produce rancidity and off-flavour. Low moisture content must be maintained throughout storage. Storage of high moisture nuts is not desirable and nuts stored even at 3.8% kernel moisture have a reduced shelf life. Fresh Macadamia seed germinates in two to four weeks if it has not been allowed to dry out. Remove the hull taking care not to damage the shell (may inhibit germination and make susceptible to fungi infection) and plant at once in suitable medium. Use seeds than sink in water. The percentage of germination is reduced by storage but the dry nuts may retain viability for two to three months but need to be soaked in water for 2-4 days. Plant with white spot facing down at depth of 2.5-3cm in PB10’s for ease of handling. A shallow fibrous mat of roots develop first then the tap-rooting system. Keep seed bags in shade at temperature of 21°C. As soon as growth starts the root will push into the soil to a depth of 10-25cm before any visible growth appears above ground in one or two months. If using a seedbed transplant when they have a pair of leaves and are 7-10 cm high. Leave the two cotyledons adhering to the stem as they contain food reserves. After 2-3 years the trees are a size to be grafted. Tetraphylla seedlings usually reach this before integrifolia. Rapid healing of the graft union is aided if rootstock has growth checked prior to grafting by suppressing water or nitrogen to allow carbohydrate accumulation. Whip, side-wedge or top graft in early spring or late autumn. Keep graft moist until established. 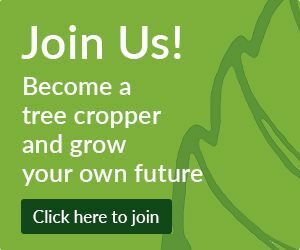 Larger trees can be successfully grafted or ‘ top worked’. There can be graft incompatibility between the species which sometimes does not show up till the trees are larger. Trees will grow from seed but will take longer to bear and the nuts can be variable. It has been said that M. tetraphylla used as a rootstock of integrifolia varieties produce crop quicker. This is correct initially, however yield of cultivars grafted on to integrifolia rootstock perform better on a long-term basis. Earlier it was believed that tetraphylla rootstock was more disease resistant to Phytophthora cinnamomi, however this is not normally a problem in well drained soil and the most usual form of the disease is trunk canker above ground level, usually due to bark damage. Nearly all the early plantings in Hawaii were on tetraphylla rootstock and they are the ones that are now seriously affected with “dieback”. They are now doing a major replanting program to replace these trees using integrifolia rootstock. One of the problems long term may be incompatibility between rootstock and scion which can take a long time to show up, also although tetraphylla grow faster initially, they finish up as smaller trees and used as rootstock may not be able to support the large canopy on top. Macadamia doesn’t have a single deep taproot as a mature tree, but like many rainforest trees, they put down a series of tap roots as they tend to feed more on the litter from the forest floor. In California the industry is based on tetraphylla varieties on tetraphylla rootstock. South Africa used largely Beaumont (hybrid) clonal rootstock which is very vigorous and produces even cuttings with a good root system. Early NSW plantings were largely Renown rootstock. It is a hybrid and heterozygous in respect to the degree of diversity in the genotypes. Most of the later plantings in Eastern Australia have been on H2 (Hinde) rootstock, which is homozygous, and most of the progeny are vigorous and fairly true to type. Some pruning and training is required for the Hedgerow System of growing. After planting, the trees are cut back to 60cm above the ground if they are branched. In the following years retain a central leader and to give greater strength space branches on a spiral system with 20 – 30cm between. The first branches are at 60cm above the ground. There are three reasons for pruning macadamias. These are in the order of orchard development and priority. To achieve this there are specific recommendations as to which branches and trunks to remove. A desired tree shape can define this, but since there is such huge variation in tree form between cultivars it is good to have guidelines for relationships between branches and prune a tree on its individual merits. The principal rule is to maximise the angle between branches and the trunk. Remove up to 60% of the branches evenly around a multiple fork starting with one of the strong vertical branches. Leave a leader plus one or two branches, more for younger trees. Remove the upper branch of two that overlap. Remove one of two branches that cross over if it is not possible to untangle them. Remove up to two branches on each side, at shoulder height and below, that project into the row to create one or two picking bays on each side as required. Or trial a shape suitable to the picking method used. Remove damaged or dead branches close to the trunk. Remove or reduce the height of one leader (or both) of a weak fork. Reduce the height of long whip-like leaders at half a metre above the last branch. Pruning is a positive action for the management of intensive macadamia plantations. Intensively planted orchards, as found in New Zealand require a pruning regime that suits the spacing of each orchard. The exact strategy is an individual decision for the orchard manager to make for each situation, but what is not obvious is that routine pruning ‘a little and often’ is required for sound orchard management. For orchard hygiene and ease of mowing and spraying all the skirts on the trees need to be trimmed off. Pest and disease control for trees in production normally requires 2-3 spray applications per year, depending on location. It is important not to overspray the orchard and kill the leaf roller moth because that is considered an important pollinator for macadamias. At blossom time apply the fungicide Rovral WP at 150 g/100 litres of water and BT(Bacillus thuringiensis) at 50 g/100 litres of water. Further insecticides may be necessary in January-April to control green vegetable bug (also known as shield bug or ‘stink-bug’). This insect is a worldwide problem as it can pierce the nut, staining the kernel and affecting the flavour rendering it unsaleable. Endosulfan applied at 200 mls/100 litres of water is the usual control. Recently 60% of a crop was lost to this bug. Trials are underway to find a way to control them, especially organically. Regular mowing is important to keep bugs moving off rubbish on to the ground and to stop rats building nests in the ground. Rat control is most important and bait stations near the water supply will keep rat numbers down and stop them chewing through too many shells. Also remove any old birds nests or the rats can fill these with nuts and never need to come down to the ground. Rats start eating macadamias from about January 20 every year which gives them five months to take your crop before you begin harvest. Small orchards, if poorly managed can lose all their crop to rats. Cicadas cause damage to young branches. The top orchards in New Zealand, under good management, have returned similar yields to the best overseas, ie 4-6 tonnes per hectare. On good sites production of PA 39 at 20kgs per tree can be achieved from year ten onwards. Poorer sites may return 1-4 tonnes per hectare. Sometimes when trees start cropping heavily their nutrition requirements are not met leading to a decline in yields. Different areas are finding cultivars that perform better in their climate and the best cultivar for NZ conditions is yet to be established. Tetraphylla nuts generally have less oil but more sugar than integrifolia nuts therefore are sweeter to the taste. Quality has long been associated with oil content. A rapid method of oil content determination can be made by using the flotation method based on specific gravity. Ordinary tap water has a specific gravity of about 1.00 and nuts that float in it have an oil content of 72% or more and the kernels are considered to be Grade 1. A salt solution containing 5 1/2 oz salt in a gallon of water has a specific gravity of 1.025 and nut that float in this denser medium have an oil content between 67% and 72% and are Grade 2, Nuts that sink in this solution have oil content less than 67% and are Grade 3 or culls. They are also often misshapen, discoloured, shrunken in size, poor flavour and have tough leathery texture. Grade 1 nuts are usually roasted and salted or flavoured and sold as desert nuts. Grade 2 can be slivered and used as toppings or in ice-cream. Grade 3 may be used in cooking. For eating the kernel should be white to light cream in colour, crisp in texture, with no off-flavour. Nuts must be dried to reduce kernel moisture to 1.5% or lower before roasting. During the drying process the kernels shrink slightly and most free themselves from their shells. The separation of kernel for shell is essential if the nuts are to be cracked without damaging the kernel. A percentage of kernels that stick to the shell occurs in most macadamias. Drying temperatures are critical. Stage 1: Circulate air at ambient temperatures or warmed air, ideally below 30oC and certainly no more than 36oC. It takes five to seven days to bring kernel moisture below 12%. Stage 2: In NZ nuts are usually kept in onion sacks holding about 5 kgs of nuts in shell. These are placed on shelves in an insulated container or silo and a heat pump running at 52oC is used for 5-7 days. The final drying time depends on the initial moisture content of the nuts, dryer design and efficiency, and air velocity. Kernel moisture should be 1.5% or less after drying at which point the nuts are ready for cracking. However there is an increasing practice overseas to crack nuts at 3.5% to 5% moisture to reduce kernel damage during cracking and to reduce power bills for the final drying stage of the kernels. Shell separation: Shell separation is usually achieved by rotating screens, air separation, hand separation and electronic colour sorting or a combination of these. Roasting: The nuts are either oil roasted or dry roasted at 132oC for ten to fifteen minutes until a golden brown colour and delicate aroma are achieved. Macadamia nuts contain no cholesterol and in clinical tests they have been shown to lower blood cholesterol (by 7% in four weeks) if eaten regularly and in moderation (6-20 nuts daily) thus actively reducing the risk of heart disease. The protein is low in lysine and high in arginine, which can decrease the aggregation of platelets (reducing clotting and thrombosis), and improving relaxation of veins. The kernel is the main product from the macadamia nut tree. After harvesting, the husks covering the nuts are removed. The nuts are fried, the shells are cracked, and the kernels are removed to be oil-roasted or dry-roasted. Kernels are commonly sold as snack nuts and chocolate-covered candy. Ice cream manufacturers and the baking industry also use macadamia kernels as an ingredient. A recent development is the manufacture of ‘Macadamia Nut Butter’ which is easily eaten by those who cannot manage the whole nuts. Shells and husks can be used as a mulch, fuel for processing macadamia nuts, planting medium, plastic manufacture and as a substitute for sand in the sand-blasting process. Macadamia oil is used in cooking as well as being a safe oil for all skin types, especially those damaged or scarred. It has a high Vitamin E content so used in the cosmetic industry. M. tetraphylla: Nuts eaten raw, roasted, fried and used in cooking and baking. Sweeter. Hybrids: in subtropical areas these appear to be better producers of quality nutmeats than either of the two parents. Because of our present small production, and since it is a ‘Tourist’ nut with added value for confectionery, it is estimated that the local market will be worth $5,000,000. Small processors currently in the industry say they have more problems sorting nuts than selling them. The world market demands high-quality macadamias with an oil content higher than 74%. Nuts with a lower oil content are too dark in colour when roasted, and become chewy rather than crisp. It has been suggested that by growing the same quality nuts as Hawaii and Australia then marketing and selling overseas will be easier as they have spent money developing the markets which we can then sell into. Macadamia nut production and exports continue to grow due to strong international demand. Macadamia exports by selected countries in 1997/98 are forecast to increase 9 percent to 39,335 metric tons (in-shell basis). Australia remains the world’s largest exporter of macadamias, accounting for more than 40 percent of the world total. Kenya ranks as the second largest exporter of macadamias, and the United States third. (AU – Henry Bell, 1980 PVR Renown OP) Early bearer at age 3; spreading tree; large early crops. Open, dainty spreading tree with small prickly light green leaves. Creamy, good large uniform shape nuts with dark brown smooth shell. Holds nuts under stress. Excellent crop of mainly closed husks. Singles wide spread Harvest July to late September. Wind tender, prolific feeder. Kernel recovery 43- 46.9%. (AU – Henry Bell, 1981 PVR Haes OP) Early bearer at 3-4 years, Upright medium tree with good bunches mainly internal. Long prickly dark green leaves. White, good medium uniform shape nuts with dark brown shiny smooth shell. Drop clean with good crop of mainly open husks. Harvest June to late July. Kernel recovery 40.14-40.74%. (AU Henry Bell, 1981 Own Choice OP) Bears 4 years from planting. Upright tall strong tree smooth leaves. Creamy medium uniform nuts with dark brown shell. Drop clean with some holding. Big bunches mainly internal. Excellent crop of mainly open husks. Long harvest from September to November. Kernel recovery 38.76-38.83%. (AU – Henry Bell, 1983 PVR Renown OP) Bears 3-4 years. Upright gangly tree with medium light green smooth leaves. Creamy, very round small nut with fawny smooth shell, drops clean. Bunches mainly internal. Good crop of mainly open husks. Short harvest season early July to late August. Kernel recovery 44.11-45%. (AU – Henry Bell 1987) Crops 3-4 years from planting. Open spreading short tree with big long dark prickly leaves. White large nuts with light brown smooth shell. Most drop. Heavy cropper with open husks. Singles widespread. Long harvest from July to late October. Kernell recovery 34.5%. (AU -Henry Bell) 1987 Haes 344 OP) Crops 3-4 years from planting. Open spreading strong tree. White large nuts with light brown prickly shell drop clean. Singles and bunches wide spread. Heavy crops mainly open husks harvest later June to August. Kernel recovery 37.25-39.12%. (Au) M. tetraphylla. Medium to large nut: shell medium brown, rough, thick; kernel averages 40% of nut, quality high, flavour excellent, ripens late, harvested over 6-8 months. Nuts drop. (NZ – Ian Gordon) Drops nuts well but has tendency to twinning. Not a problem if cracker handles them. (HW) M. integrifolia Large nuts; excellent flavour; medium thick shell; productive, cold tolerant; upright tree. (HW) M. integrifolia Medium to large nut, about 54 per lb; shell slightly pebbled, medium-thick; kernel 37-40%, quality varies upon location. Crop matures over 3 months. Tree vigorous, spreading. (HW) M. integrifolia Large, uniform nuts, high quality. About 90 per lb: 40% kernel. Medium thick shell. Kernel quality excellent after cooking. Broad spreading tree. (Brian Piper) High producing crackout 40%; 95% grade 1 kernels; drops nuts; tree small compact, very prickly; very susceptible green shield bug. Some places crops 1 month before Beaumont but in BOP good pollinator. (NZ – Hans Lens) Thin shelled. Compiled by: Gail Newcomb, January 2000. Variety update 2006. Privacy removals and proprietory format conversion – December 2007.